Features: Rich in symbolism, the unique natural form of the sand dollar inspired this sculptural work by Beatriz Ball. 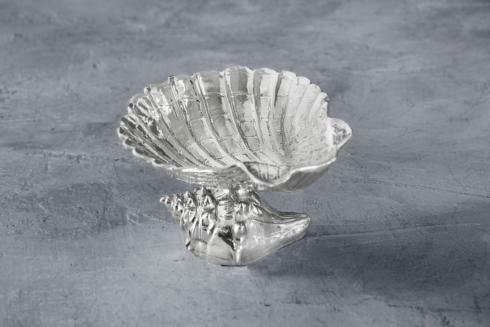 The PEDESTAL Ocean Sand Dollar Bowl is Ideal for serving nuts, snacks, or mints. 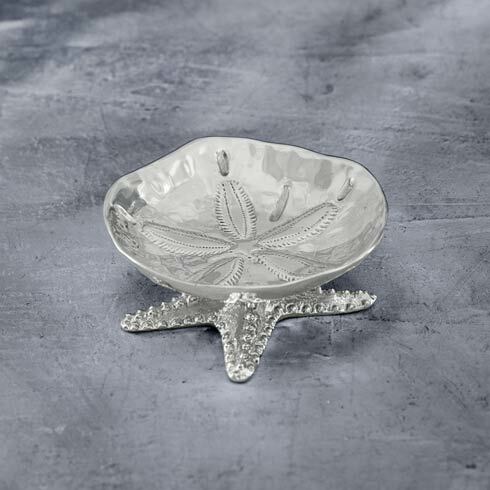 Works in tandem with any of Beatriz Ball's OCEAN Collection items--especially the Sand Dollar designs. Great for serving, but beautiful on its own. An original design by Beatriz Ball, handmade of a top quality, FDA safe, easy-care, oven and freezer friendly aluminum alloy.